The 81TWX humbucker doubles down on tone, taking the EMG 81 and adding a separate single coil pickup in the same housing. 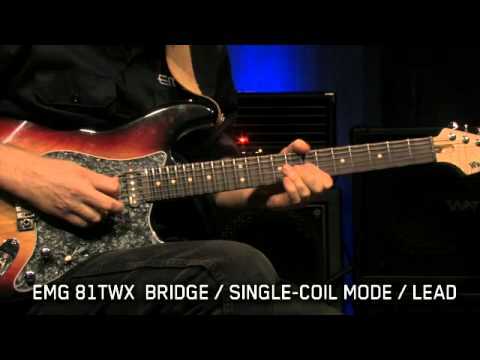 This is not your traditional coil-tap humbucker. 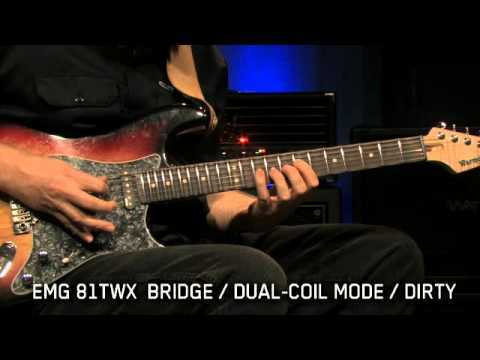 EMG has designed the dual-mode to allow for maximum flexibility, featuring two pickups in one humbucker. The original 81 provides all the crunch and attack it's famous for and the additional single-coil now gives players two classic tonal options to choose from. Either mode is accessed through a push/pull pot for ease and versatility. The internal X preamp gives the 81TWX two distinct sounds while delivering EMG's well known noise cancelling technology in both modes. The X series provide increased headroom, giving the guitar pickup an organic and open voice while still maintaining the clarity and response that EMG's are known for. 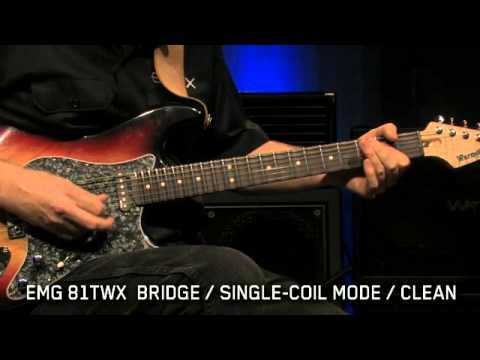 X's are often described as bridging the gap between passive and active tone and feel. Along with our solderless installation, this is a great choice for guitar players looking to get more out of one pickup. NOTE: Standard EMG humbuckers are 0.9” thick. The 81TW thickness is 1.1”. Difference of 0.22”.